Unlike in the West, where companies such as Uber and Google are looking at autonomous cars to ferry passengers between two points a shift that would hurt traditional car makers - India is still a driver-owned taxi market that is expanding rapidly due to rickety public transport infrastructure. 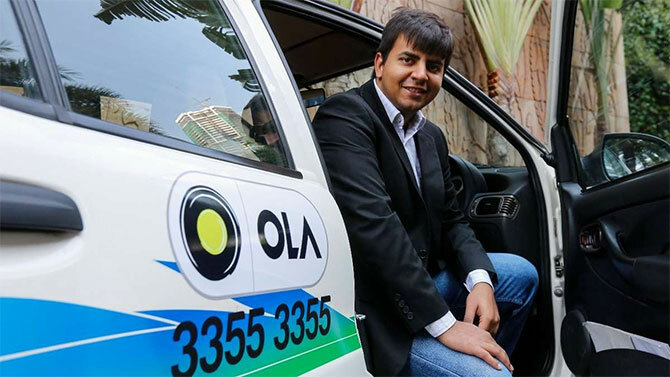 Ola claims 450,000 cabs on its network, while Uber claims 350,000 cars ply on its platform. Several carmakers such as Mahindra, Tata, Toyota, Ford and Nissan have entered into partnerships with Uber and Ola to provide easy financing and other benefits for drivers to buy cars. Mahindra on Thursday committed to finance as much as $400 million to sell 40,000 of its cars to drivers on the Ola platform. Both aggregators function on a model where they do not own any of the cars but charge a commission for each ride from drivers on their platform. “What the OEMs are looking at is that the cab aggregation model isn’t going to hurt demand in the short term. In the long term, it could impact sales of cars, but that won’t happen for the next five to ten years. So cab aggregators are going to be one of the major customers for OEMs,” says Abdul Majeed, partner at PriceWaterhouseCoopers. While aggregators today make up a small chunk of the overall car sales in the country, they have the potential to become the biggest drivers of sales for carmakers in the coming years. It is estimated that Uber and Ola contribute 5-7 per cent of India’s car sales today and this could grow to 15-20 per cent by 2020. Globally, companies such as Uber are challenging the concept of car ownership, which could put several companies out of business while making others drastically alter their business models. Ford has been vocal about this change, taking steps to become a provider of mobility rather than a carmaker. The company has invested in several new-age transportation technology companies, including India’s ZoomCar. In India, both Uber and Ola are fighting to dominate the taxi hailing space. Uber, which lost out in China after burning $2 billion, has now turned its attention to India. It has committed substantial amount from the $3.5 billion it raised from Saudi Arabia’s Public Investment Fund to win India, where it still lags behind local rival Ola. Ola, which has delayed raising $1 billion from investors, says it has enough money from the $900 million it raised last year to battle Uber. Both firms are looking at converting existing and aspiring car owners to become users of their service, offering them heavy discounts. “In the West, things are slightly different because there car ownership is already very high. If you take 1,000 people, anywhere 500-800 people own cars. In India it’s quite the opposite. The penetration is extremely low and cars are considered to be aspirational,” adds Majeed. This low penetration will ensure that enough car sales will be driven by individuals despite the growth of services such as Uber and Ola. Such is the growth that from a few thousand cars on both platforms in 2013, today there are over 400,000 cabs operating on Uber and Ola, according to RedSeer Consulting, a Bengaluru-based research firm. Japanese carmaker Toyota has a global partnership with Uber, which extends to India, where its Etios model is one of the most popular cars in the cab market. However, while Toyota is exploring growing sales by serving ride hailing markets, it isn’t giving up yet on individual car buyers or other competing business models. “There is a possibility that Uber (and Ola) will drive more sales. But we can wait. We still can’t decide which model is best or what business model will win in the future right now. We very neutral,” said Akito Tachibaba, Managing Director at Toyota Kirloskar Motor. Large global carmakers have made significant financial bets on cab hailing as the sharing economy model begins to gather steam. General Motors has backed Uber’s US rival Lyft while Tata Opportunities Fund, the Tata Group’s private equity fund, has invested in Uber. “We will see more automobile companies, including Indian ones, to begin buying stakes in such companies,” says Majeed.